If you are in direct sales, and want to maximize your earning potential, then sponsoring other people is part of the plan. There are two different philosophies on sponsoring. One philosophy is to sponsor many; some will stick, some won’t. The other philosophy is to sponsor just a few and then nurture them. Sponsoring others is how consultants build their team. There is more than one way to build a team. You can build a team sponsoring fifteen people per month or you can build a team sponsoring just two people per month. When you sponsor fifteen people per month you are absolutely playing the numbers. Of these fifteen people, you’ll find a few who just want product discounts. 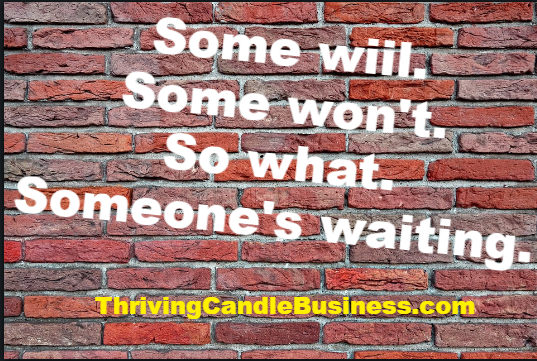 You’ll find a few who want to sell to family and friends and earn a little bit of supplemental income each month; and you’ll find maybe one who asks questions and truly wants to build a business. The rest will never turn in a first order and will fade away. Again, this is not good or bad, right or wrong, these are just the statistics. Joining a network marketing company is similar to joining a gym or subscribing to a members only website. With a gym or website membership, your goal is to get the most for your money, to work out daily or weekly or to read and participate in the forums and task suggestions. But the reality is many people set never set foot in the gym after the first week, or only skim posts or visit websites periodically. We think we want something today, but by tomorrow it just is not as important as it was yesterday. If you’re able to sponsor fifteen people each month and have the time to truly help the one or two who want the help – then go for it. The other philosophy is to sponsor just one or two per month and invest your time nurturing and working with them. There are definite pluses to having just one person you’re working with. You have the time to really offer help and assistance. You’re able to walk them through each step of owning their own business. You’re able to spend a lot of one on one time with them. You’re also able to help them build a team by helping them meet others and offer the opportunity to others. When you sponsor just two per month, you’ll still find those who just want a discount and those who want supplemental income, however you may have fewer who drop off. I’ve sponsored two people in a month and I’ve sponsored fifteen people in a month. Either way, my goal is to continue to build my team and help those on my team achieve their own personal goals. 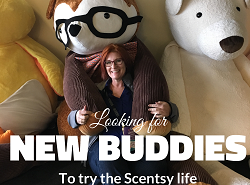 If you’re looking to join a direct sales company, please consider Scentsy. 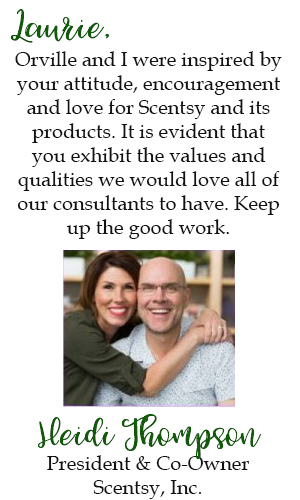 I joined Scentsy in 2006, and would not still be here if it wasn’t the amazing company that it is.